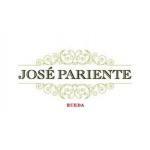 In 1960, José Pariente began producing white wines with artisanal raw material of extraordinary quality: the Verdejo grapes from vineyards of Rueda. Careful viticulture practiced and believed in their land, quality and pleasure of making wine. 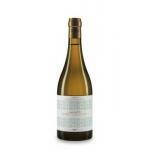 His longing, produce great white wines, is the aim of the current winery, his daughter Victoria Pariente established in 1998. The energy and passion of José Pariente (1924-1997) inspire our activity today. The five wines from winery is a tribute to renew each year, in each vintage. Our vineyard sits in Rueda, between the municipalities of La Seca wheel and in the province of Valladolid. The setting is a large moor at 750 m altitude, dour and bright, beaten by own severe continental climate of the Castilian plateau. In order to achieve greater variety of soils and add complexity to the wine, the vineyards of José Pariente extend payments for different denomination.The best farms are located on poor soils in organic matter, soil with gravel, a layer of great benefit to the root of the vine boulders, and subsoil clay and chalky. The first documents that mention the wine production in our area back to the eleventh century. The momentum of the monastic orders and the proximity to important cities of medieval Castile favored the cultivation of the vine. This development culminated from 1600, in the Spanish Golden Age, when the "golden list" Wheel achieved great prestige. Later in the eighteenth century, the vineyard reached an even greater extent and, seeking the highest quality, he held closest to the Duero river areas in what is now the center of the PDO, formally established in 1980. Innovation and respect, technology and passion for the great white wines. In the cellar, as in the vineyard, Victoria Pariente remains committed to his father, José Pariente, the pursuit of excellence. Today the winery and added the third generation, in the person of the daughter of Victoria and Ignacio Prieto, Martina Prieto Pariente. 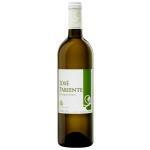 Elegance, freshness and complexity sustantivan the result of our work. 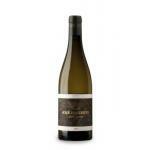 A family of five white wines marked expression and authenticity. Five exponents that have the temperament of their home and also reveal a unique way of understanding the land, vineyards, varieties we work and winemaking.